Global Basecamps’ itineraries to Namibia travel to many destinations throughout this fascinating arid country. From mountainous sand dunes to majestic wildlife and the wild coastline, this rarely-visited country has much to offer both in natural splendor and in its native indigenous cultures. Many call the country home (including the San, the Nama, the Ovahimba, the Ovazemba, the Ovatjimba, and the Ovatue). Composing about 8% of the country’s population, these peoples are largely hunter-gatherers or pastoralist herders of livestock, though some have also taken more modern occupations. Many are in the process of overcoming social hardships, and some groups have found resources for their culture in the tourism industry. The Ovahimba, often shortened to Himba, number as many as 25,000 and live mostly in the semi-arid north-west of the country. They are historically related to the Maasai people of Kenya and Tanzania, and also to the Herero, other pastoralists who migrated to Namibia and live in central and eastern Namibia. The Himba speak a Bantu language and live in small, polygamous compounds in homes made of bent saplings and sealed with earthen and dung plasters. 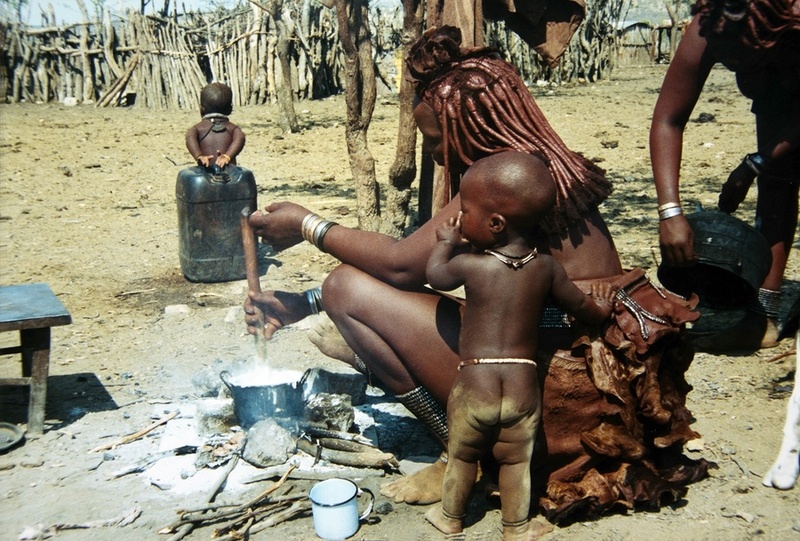 The Himba’s religious practices revolve significantly around the communication with their god Mukuru with rituals often involving the use of sacred fire (okuruwo), interaction with an intercessory headman, and ancestor worship. As in other pastoralist cultures in Africa, cattle are carefully managed and cared for, and are a symbol of wealth and social status. Like the Maasai, these cattle are kept within the village compound and looked after as a family’s most valuable resource. 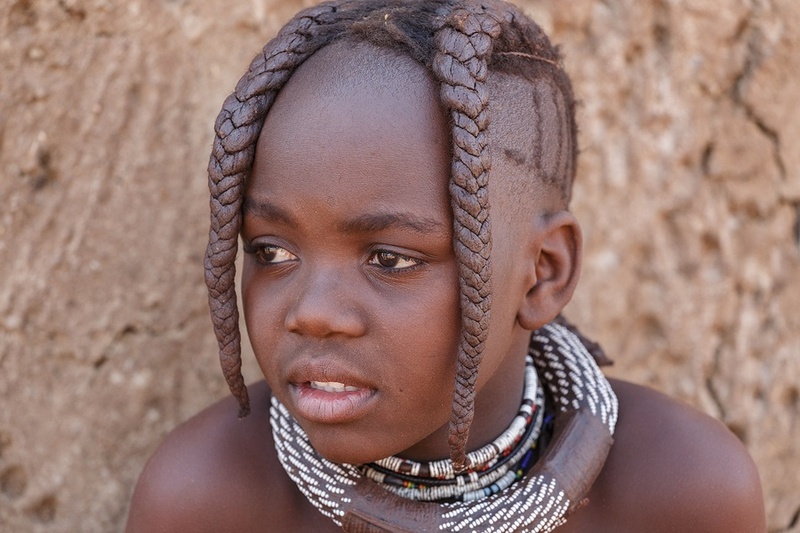 The Himba women in particular are of striking appearance, carefully styling their hair into intricate dreadlocks which, like the rest of their bodies, they are kept covered with a colored ochre soil combined with butterfat. Their hair and bodies glitter and take on a deep red hue, representing the red of the earth and blood as symbolic of life. They are often also adorned with extravagant jewelry, and the Himba wardrobe is usually simple and minimal, unlike the colorful draping garments of the Maasai. When interacting with the Himba on Namibia tours, as with all indigenous peoples, it is important to keep the respect of their customs as a top priority. Never pass between the headman’s home and the central sacred fire, and do ask permission before entering the homestead and taking photos. 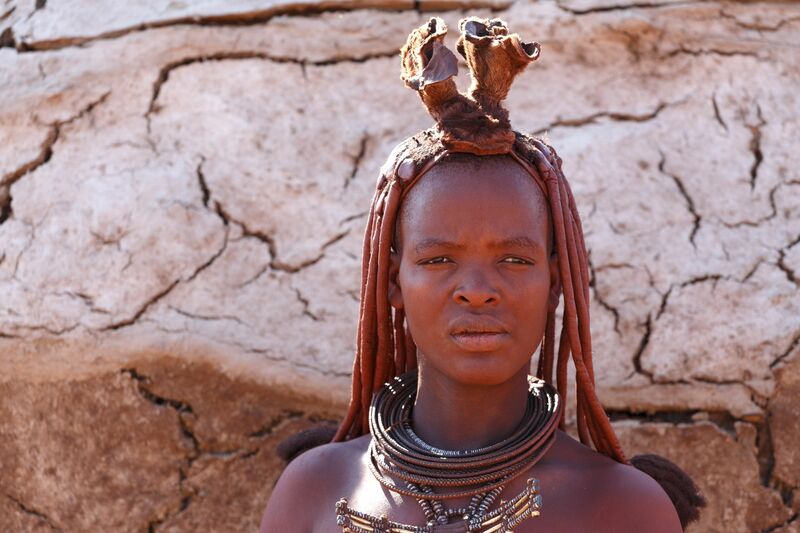 Always treat water with the utmost respect, as it is a very scarce resource for the Himba. Visiting Namibia of safari is a unique cultural experience, and we are proud to offer these activities with the Himba as part of our itineraries. We invite you to explore this amazing country and unique culture with us!